Our manifesto – BP or not BP? At a time when the world should fear much more the heat of the sun and the furious winter’s rages, BP is conspiring to distract us from the naked truth of climate change, and by pursuing a future powered by more and more extreme fossil fuels, like tar sands, deepwater drilling and Arctic exploitation, with its daring folly burn the world. 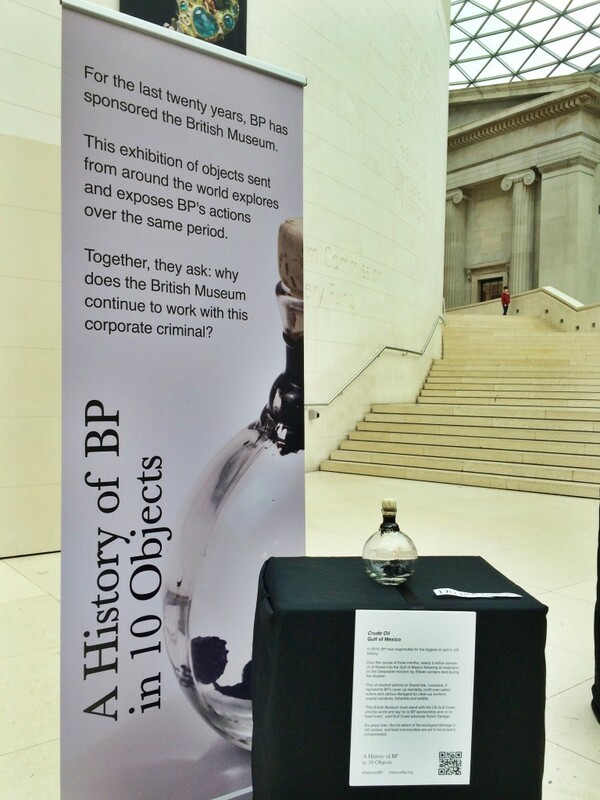 The Royal Shakespeare Company, British Museum, Royal Opera House, National Portrait Gallery, and Science Museum have all chosen to put BP’s money in their purse. Yet he’s mad that trusts in the tameness of a wolf. BP is doing everything in its power to let not the public see its deep and dark desires – fossil fuel expansion and ecological devastation. BP is the greenwash monster, which doth mock the meat it feeds on, and these cultural leaders have made themselves complicit in its crimes. If this were play’d upon a stage now, we could condemn it as an improbable fiction! Times are tough. Ay, there’s the rub. But all that glisters is not gold. And whilst comparisons are odorous, we do well remember the dropping of tobacco companies as sponsors by a host of cultural institutions. The arts continued, and so shall the British Museum and the RSC, freed from the grasp of this smiling damned villain. Once more unto the breach, dear friends, once more! We say to our cultural institutions: to thine own self be true. Be nothing if not critical and forgo your damaging relationship with BP.